Famous, wild Alaskan Copper River King and Sockeye Salmon has arrived in Seattle’s Pure Food Fish Market - now available to order for overnight shipment anywhere in the U.S. at FreshSeafood.com. 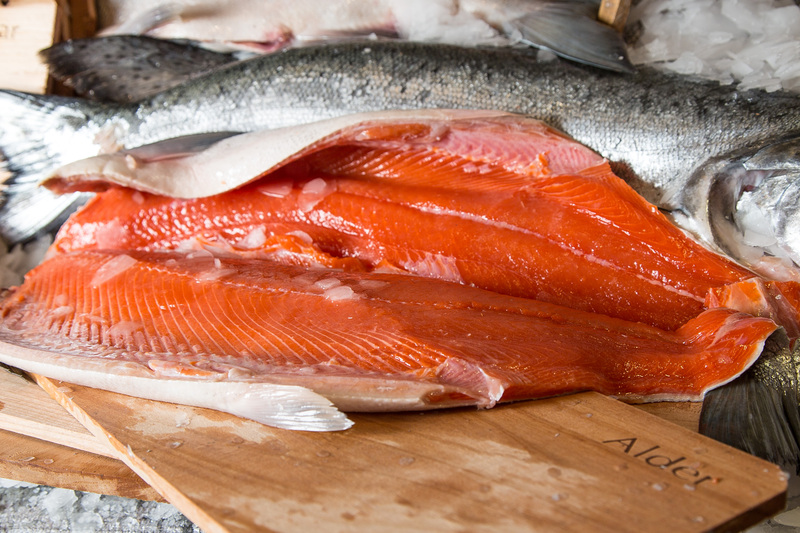 The Northwest’s world-famous Alaskan Copper River Salmon season has returned, and Pure Food Fish Market is now taking orders for King and Sockeye Salmon straight from the pristine waters of the Copper River. Pure Food Fish Market is a fourth generation specialty fresh seafood shop in Seattle’s Pike Place Market. The company services the entire country online at FreshSeafood.com offering hand-cut and packaged orders from the market via FedEx overnight delivery. Order now online at FreshSeafood.com or by phone at (800) 392-FISH (3474). 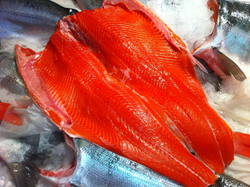 Fresh Copper River Salmon will be available at Pure Food Fish Market and FreshSeafood.com while supplies last. These famous salmon come from the mighty Copper River, a very rugged 300-mile stretch of river in Alaska. In order for the salmon to survive their epic trek through the Copper River, they store extra fat and oils that help them to manage the journey. It is because of this added fat and oil content that the Copper River Salmon are recognized as the best-tasting salmon in the world. In addition to their incredibly delicious flavor, these fish are loaded with nutritional benefits, making it a smart choice for healthy eating habits. 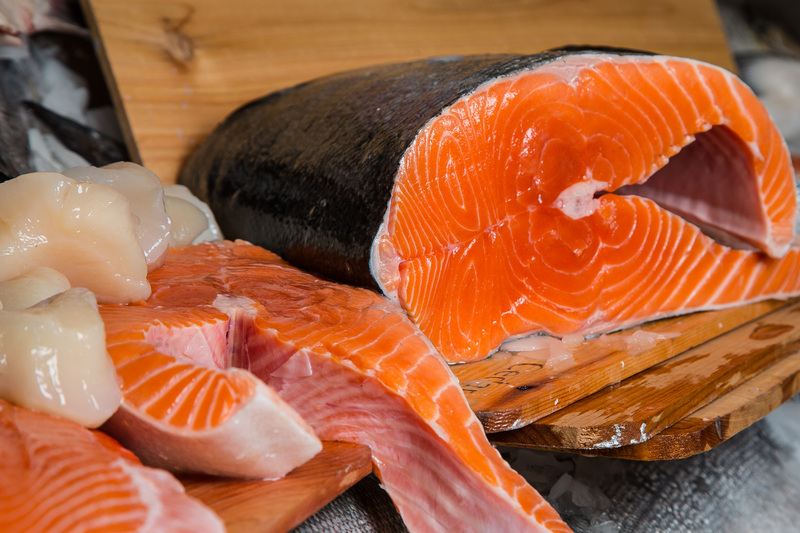 An excellent source of protein and loaded with Omega-3 oils, which are recommended by the American Heart Association, not only does the heart benefit from salmon consumption, but studies have shown that fish oil can also help to combat psoriasis, rheumatoid arthritis, breast cancer and migraines. “Omega-3 fatty acids benefit the heart of healthy people and those at high risk of — or who have — cardiovascular disease. Research has shown that omega-3 fatty acids decrease risk of arrhythmias (abnormal heartbeats), which can lead to sudden cardiac death. Omega-3 fatty acids also decrease triglyceride levels, slow the growth rate of atherosclerotic plaque and lower blood pressure (slightly)” – provided by the American Heart Association online. All orders placed with Pure Food Fish Market and FreshSeafood.com are cut to order at the time of purchase. Shipments are specially packaged with gel ice to ensure freshness upon FedEx overnight delivery. For a full list of fresh seafood products, visit Pure Food Fish Market online at FreshSeafood.com. Pure Food Fish Market is located in the heart of downtown Seattle in the famous Pike Place Public Market. Anyone who has visited Washington State knows that Seattle is the place for seafood. Tourists and locals alike come to the Pike Place Public Market to buy fresh seafood from Pure Food Fish Market, Seattle’s most popular seafood retailer. 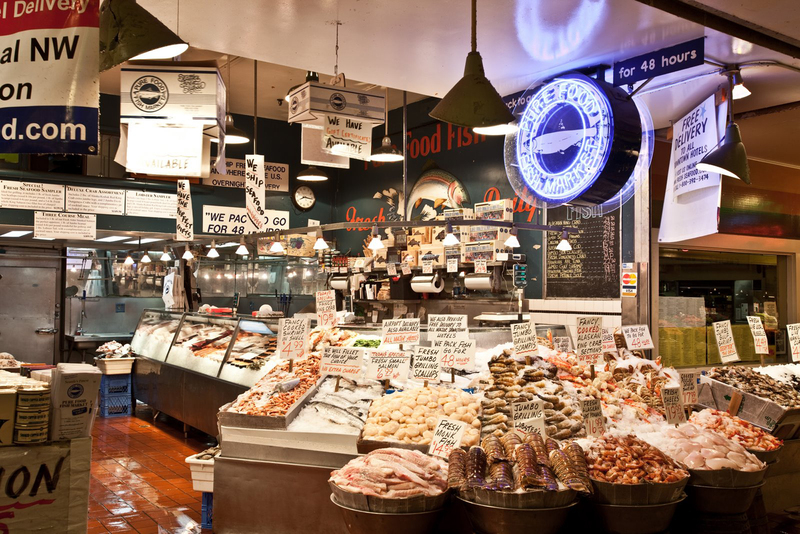 Our family has been down at the market for four generations stocking an abundant assortment of delicious seafood from around the world but specializing in the fresh seafood from the Pacific Northwest. Today, Pure Food Fish Market offers their fresh seafood to the entire country via FreshSeafood.com where they overnight ship via FedEx to ensure freshness upon delivery. Wild Alaskan Copper River King Salmon from Pure Food Fish Market in Seattle. Fresh Wild Alaskan Copper River Salmon. Pure Food Fish Market at Seattle's World-Famous Pike Place Market.